Tasmania's natural beauty is incredibly varied, ranging from rocky, snow capped outcrops to calm bays lined with golden sand, and wild plains - all of it home to a wide range of wildlife, and much of it unspoiled by too many visitors. Australia's only island state, Tasmania is definitely out of step with the mainland, strongly tied to its colonial history; visiting can feel a bit like a step back in time. 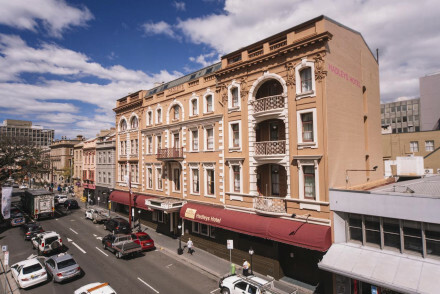 But the heritage of the place adds to the fascination, and some of the best places to stay in Tasmania have been converted from graceful colonial constructions. The craggy peak of Cradle Mountain, the wide scoop of Wineglass Bay, the great stretches of peaceful sand on Seven Mile Beach and the peaceful green-grey of the Huon Valley are all pristine and unmissable for anyone interested in the beauty of the great outdoors. Island isolation has protected this diverse and precious ecology, and kept the population low, so Tasmania is now home to some of the world's rarest plants and animals. And even since the great swathes of wilderness have became visitor attractions in their own right, the Heritage Listings have served to prioritise protection of the environment. 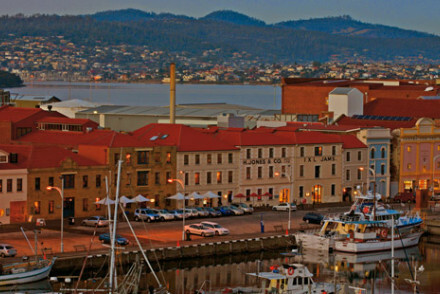 Hobart is Tasmania's small but perfectly formed capital city. It's a wonderful mix of charming town centre seeping quickly into spectacular countryside and is the ideal base for those who like the best of both worlds. And this is a great place to do some sailing, or some cycling. As well as the natural treasures, Tasmania has some interesting historic and archaeological sights - like Port Arthur, the Hobart docks, or the grand, Gothic Cascade Brewery. Tasmania isn't the backwater mainlanders jibe about though, the food and wine of the Tamar Valley and Launceston will impress gourmets, the ocean provides a bounty of seafood, and there's no shortage of luxurious accommodation. 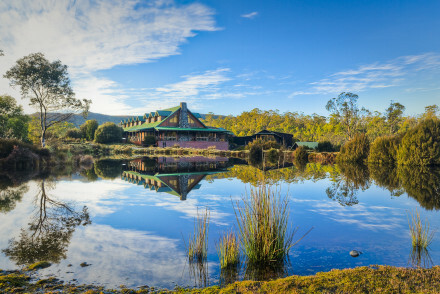 Our pick of the best places to stay in Tasmania range from hip city spots, to a remote wilderness lodge - there really is something for everyone. 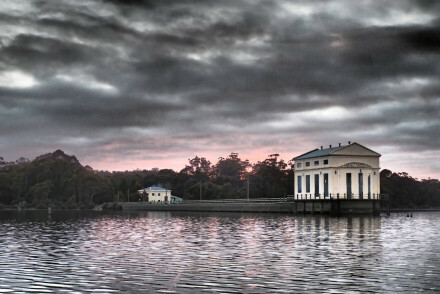 Woodbridge on the Derwent is a collection of eight luxurious suites in an 1825, convict-built riverside mansion just 25 minutes from Hobart. Many of the original features, like late open fireplaces, a ballrooms and library, remain and you're surrounded by food and wine country. 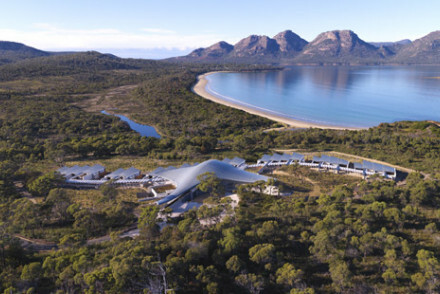 Saffire is an all-inclusive luxury lodge with 20 rooms and views of Coles Bay. The 'rooms' are a collection of suites and private pavilions dotted along the coast, and there's a fantastic spa, as well as a myriad of walking trails which start right from the lodge. Pumphouse Point is a romantic lakeside hideaway in a converted pumphouse. This remote lookout has 12 gorgeous bedrooms with breath taking views and a cosy sitting room with large sofas and warm fireplace. Unwind at this fabulous spot with communal dining and a well stocked honesty bar. Villa Howden, located on the tranquil shores of North West Bay, offers traditional elegance and the perfect place to stay for intimate celebrations and quiet contemplation. 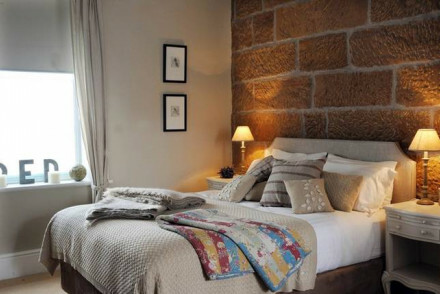 Rooms are beautifully decorated and fresh local produce is served in peaceful dining rooms. A secluded country house. 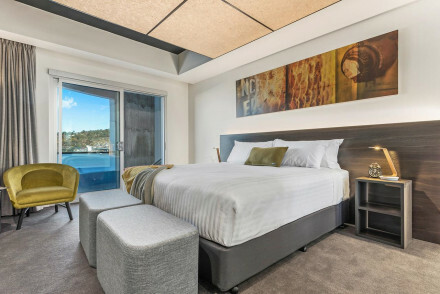 The Henry Jones Art Hotel is Australia's first 'art hotel' a hip, stylish space converted from an 1820s jam warehouse right on Hobart's waterfront. Rooms are tasteful and you're in a great spot. The Islington Hotel is a obverted Regency house with a fabulous modern stone and glass extension allowing for even more spectacular views of Mt. Wellington. 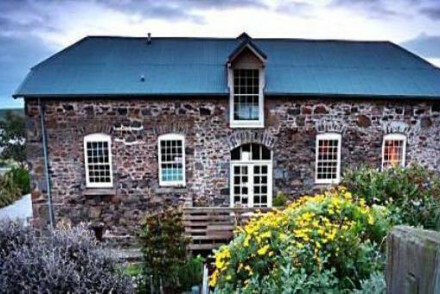 The grounds, on the outskirts of Hobart, are manicured and beautiful and the interior is decorated with art and antiques. If you like your city chic modern then you'll like the Mona Pavilions, a collection of slick, uniquely designed self-catering pavilions on the Morilla Estate on the grounds of the Mona Museum. Just a short ferry trip from Hobart, as well as the museum there's a heated infinity pool, gym and sauna. 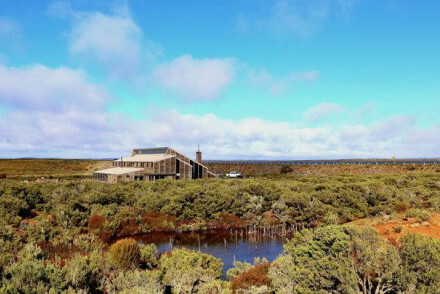 Peppers Cradle Mountain Lodge offers four different types on accommodation, from suites to detached family cabins, surrounded by the wilderness of the Cradle Mountain-Lake St. Clair National Park. The lodge is surrounded by walking trails and there's also a fabulous spa. The Avalon Coastal Retreat is a three bedroom house, each bedroom with its own bathroom, right on a private beach. The owners will happily stock the fridge, as well as leaving you with a collection of beach towels, wetsuits, boogie boards, backpacks and walking maps. Quamby Estate is a peaceful country estate with rolling green lawns in beautifully landscaped grounds. Antique furniture is scattered tastefully throughout this charming house. A quiet drawing room with fireplace and comfortable, elegant bedrooms. Enjoy evening meals in the relaxed dining room and picnics on the lawn. 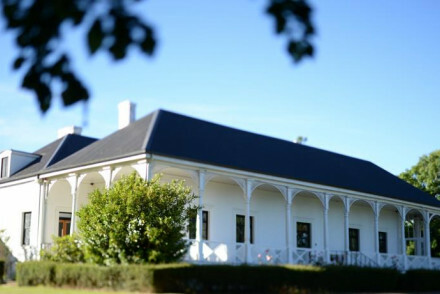 The Red Feather Inn - this collection of colonial buildings is nestled in the Meander Valley in Northern Tasmania. All rooms and suites boast a garden view and contemporary interiors. A beautiful location for an intimate wedding or romantic getaway, with cooking classes on site and an array of local attractions nearby. If you'd prefer a self-catering option this holiday - don't hesitate to visit our online partner, Booking.com for a diverse selection of properties ideal for enjoying the island's sights. Fly to Hobart International Airport located 18km (11 miles) from Hobart with a range of domestic flights to destinations including Melbourne and Sydney. If you want to rent a car to explore the island - click here for prices and booking with our online partner, Rental Cars. Best time to visit - the summer months from December to Februrary for pleasant tempertures and less rainfall. Peaceful country estate with rolling green lawns in beautifully landscaped grounds. Antique furniture is scattered tastefully throughout this charming house. A quiet drawing room with fireplace and comfortable, elegant bedrooms. Enjoy evening meals in the relaxed dining room and picnics on the lawn. Country Escape - Set on 150 acres of stunning parklands, boasting a golf course, tennis courts, lakes and drawing rooms with marble fireplace. Romantic Break - A romantic escape with fragrant gardens, gourmet couples dining, and suites with classic antiques and spa bath. Fishing - Anglers will be pleased to hear the lake is well stocked with fish. An historic Victorian-era building located near Hobart's business district. Spacious rooms have a retro feel with patterned carpets and wall paper and vintage decor. An elegant bar comes complete with grand piano and the restaurant serves regional cuisine. A smart stay in the heart of the city. 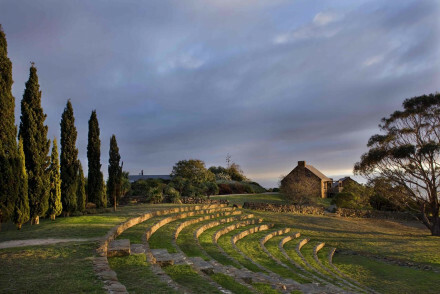 This collection of colonial buildings is nestled in the Meander Valley in Northern Tasmania. All rooms and suites boast a garden view and contemporary interiors. A beautiful location for an intimate wedding or romantic getaway, with cooking classes on site and an array of local attractions nearby. A Tasmanian wilderness experience that's hard to beat. Four different styles of accommodation including suites and standalone family friendly cabins. A fabulous Spa sanctuary makes this the perfect base for trekking in the Cradle Mountain area. 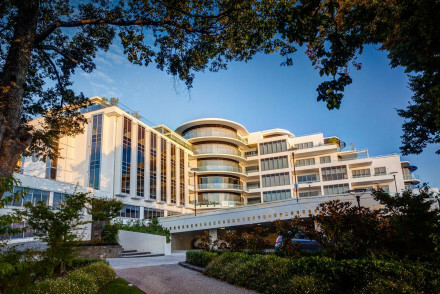 Set behind an impressive Art Deco style facade, this understated and modern hotel is set at the gateway to the Tamar Valley. Rooms are minimalist and contemporary with white washed walls, floor to ceiling windows and bursts of colour coming from the soft furnishings. A smart stay. An intimate hotel set both besides the coast and at the base of an extinct volcano. The three suites are contemporary in style and designed with natural materials. Self-catering facilities are offered or there's fantastic seafood restaurants nearby. A perfect base to explore this beautiful region. 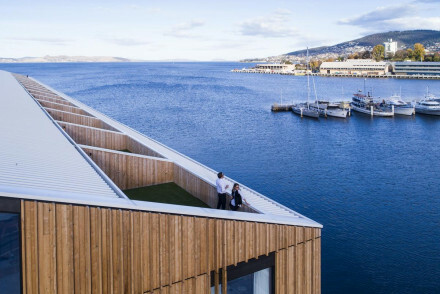 Australia's first dedicated art hotel has transformed a historic 1820s jam warehouse on Hobart's waterfront in to a contemporary, hip and stylish space. Rooms are tastefully furnished with large bathrooms. Perfect for a weekend city break or honeymooners. A smart hotel set in a great mid-city location. Well appointed rooms are contemporary in design and feature floor to ceiling windows (the best have wonderful city views). Sample Tasmanian dishes at the restaurant and find yourself just a stroll away from many of the city's major attractions. The building comprises of four grain silos with chic modern interiors. A comfortable family-run hotel offering delicious seasonal cuisine in its café or restaurant and featuring an indulgent spa. All rooms have wonderful views over the Tamar River and it is just a short stroll to the city centre. A romantic lakeside hideaway in a converted pumphouse. This remote lookout has 12 gorgeous bedrooms with breath taking views and a cosy sitting room with large sofas and warm fireplace. Unwind at this fabulous spot with communal dining and a well stocked honesty bar. Back to Nature - Bring your hiking boots and explore the fjord-like wilderness of the incredible Cradle Mountain-Lake St Clair National Park. Fishing - Phenomanal trout fishing is avaialble on the lake, the hotel has expert guides and ghillies. Great walks - Head out in any direction, Lake St Clair boasts over 100km of impressive walks. 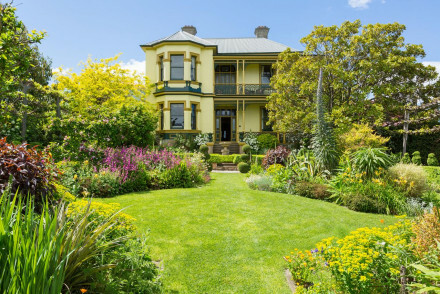 Lavish Victorian-style accommodation, offering both rooms or cottages, on a hilltop area in the idyllic Glebe suburb of Hobart. Surrounded by lush gardens, with breakfast and an honesty-bar available. 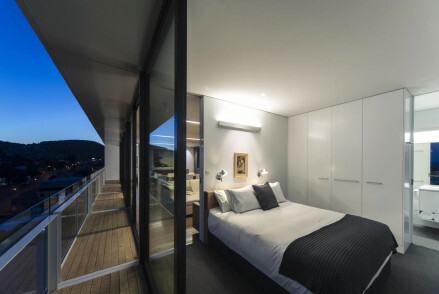 Just a 15 minute walk into the centre of Hobart making this a tranquil yet convenient stay. Sights nearby - Just 15 mins from Hobart. Close to Port Arthur, Salamanca Market, Air Walk and Mount Wellington. 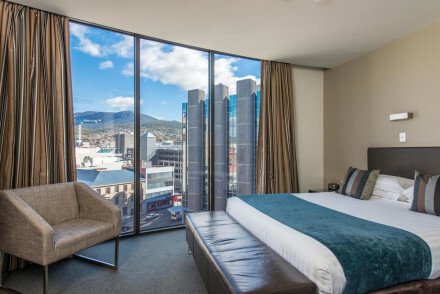 An old Regency house is the perfect setting for this boutique hotel with fabulous glass/stone extension,found on the outskirts of Hobart with stunning views to Mt Wellington. Art and antiques. And a swimming pool, BBQ facilities and an acre of manicured gardens including a 100 year old willow tree. A stylish and romantic coastal retreat with access to two stunning private beaches. Charming cottages are well appointed with log fires, spa baths and a full kitchen. Decorated with timber and natural hues this is an idyllic respite set in beautiful natural surrounds. 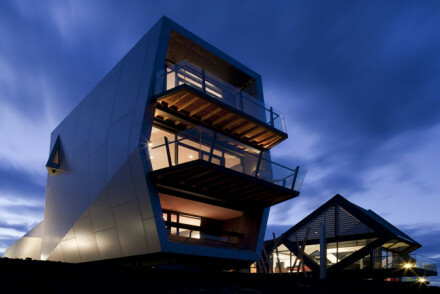 A contemporary lodge offering luxury accommodation in one of Tasmanian's most epic and rugged landscapes. 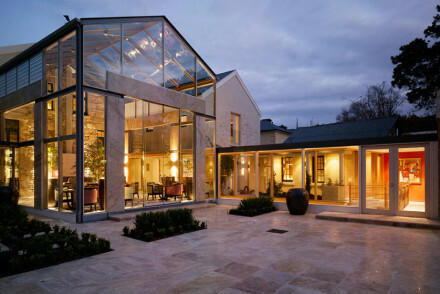 An enormous lounge features vast swathes of glass and an equally impressive double sided fireplace. 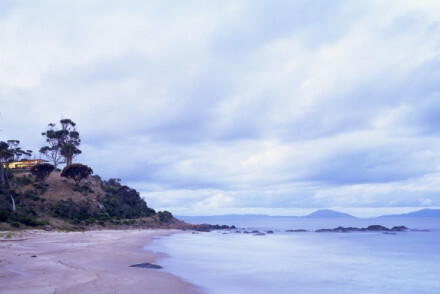 A place to come and discover the 'real' Tasmania. Situated on a wharf offering stunning views over the waterfront, river and mountains. Interiors are elegant and modern with light rooms boasting indulgent bathrooms and private terraces. Featuring an interesting storytelling theme and offering organised tours of the hotel and city. Superb. 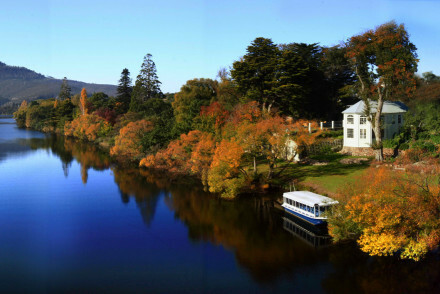 Eight luxury suites in historic 1825 convict-built riverside mansion, only 25 minutes from Hobart. 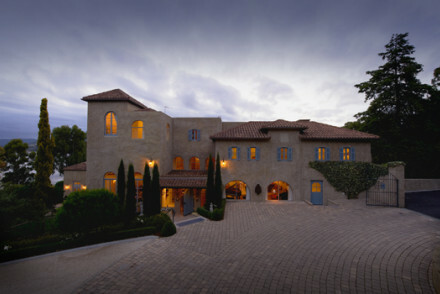 Family owned and run, with a private ballroom, library and open fireplaces. A great base for exploring renowned local cuisine and wine producers. 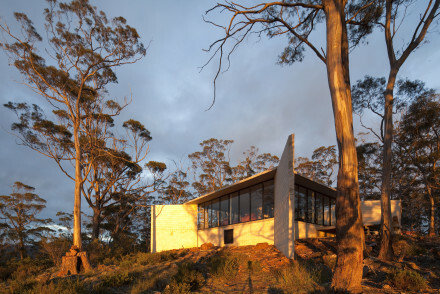 Slick, contemporary self-catering pavilions on the Morilla Estate a short ferry ride from Hobart in the grounds of the Mona. Festivals, culture courses, with free museum entry, a gym, sauna and heated indoor infinity pool. An idyllic couples' one-bedroom retreat situated in stunning native bushland. Stylish and contemporary, enjoy the views from the floor-to-ceiling windows, snuggle under the cashmere rugs and generally enjoy the solitude. Featuring a fully stocked kitchen and bar. Utterly superb. This exclusive house has three delightful rooms, each with their own bathroom. Wetsuits, boogie boards, beach towels, backpacks and walking maps are all provided, and there's the option to have the fridge fully stocked up. Stunning coastal views ensures this is self-catering at its best. A two-bedroom apartment sits atop a 1960's office block, with contemporary steel and glass design and floor-to ceiling windows offering great views. Interiors are sleek and minimalist, there's a fully functioning kitchen and large terrace for evening drinks. An achingly cool central base. Stunning views of Coles Bay from all angles of this all inclusive luxury lodge, designed to relax and rejuvenate. Indulge in the Sapphire Spa with private suites and pavilions dotted along the coast. Fantastic walks with opportunities to see wildlife and the endangered Tasmanian devil.